﻿ Book Hotel Villas Lirio (Quepos) - 2019 PRICES FROM A$144! Hotel Manuel Antonio by National Park. 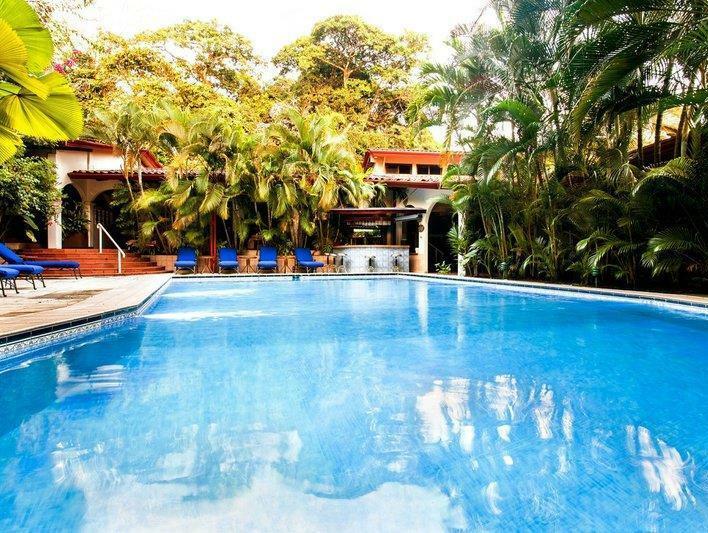 Hotel Villas Lirio offers a beautiful mountain setting within Manuel Antonio National Park. It features an outdoor swimming pool set in tropical gardens. Each spacious, air-conditioned room at the Villas Lirio has Costa Rican-style décor. There is cable TV, free WiFi in public areas and a private bathroom. Guests can enjoy a range of international cuisine in the restaurant, which features a collection of local art work. The surrounding national park is ideal for hiking. The beaches at Biesanz and Espadilla are just 1.2 mi away, and are popular locations for snorkeling, fishing, surfing and diving.